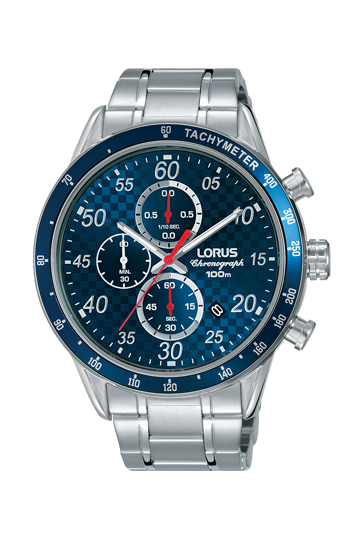 RM329EX9 Lorus Gents Quartz chronograph, blue sunray dial, 100m W/R, flat mineral glass, s/steel bracelet. 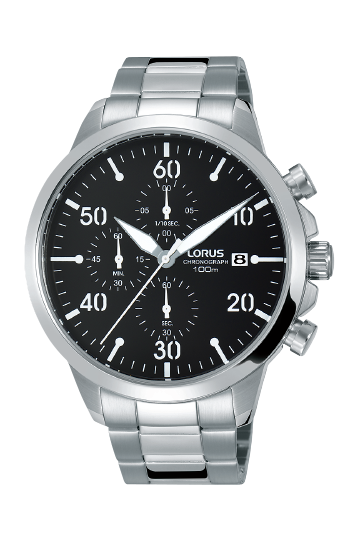 RM331EX9 Lorus Gents Quartz chronograph, grey sunray dial, 100m W/R, flat mineral glass, s/steel bracelet. 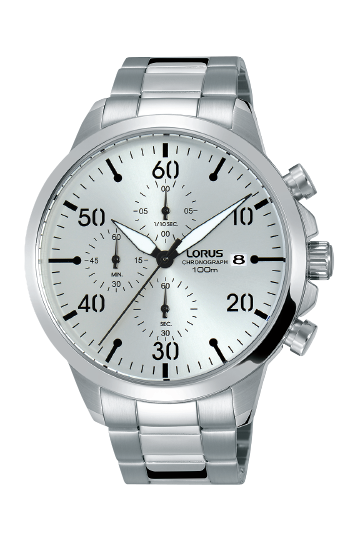 RM335EX9 Lorus Gents Quartz chronograph, white sunray dial, 100m W/R, flat mineral glass, s/steel bracelet. 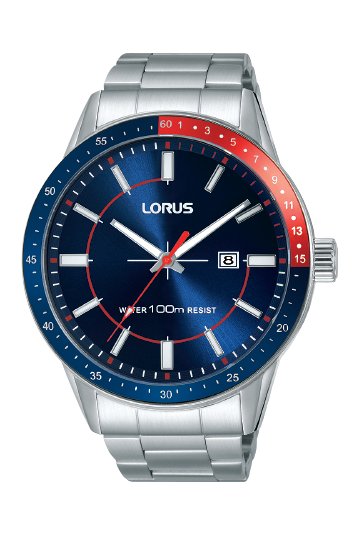 RH955HX9 Lorus Gents Quartz , blue sunray dial, 100m W/R, flat mineral glass, s/steel bracelet. 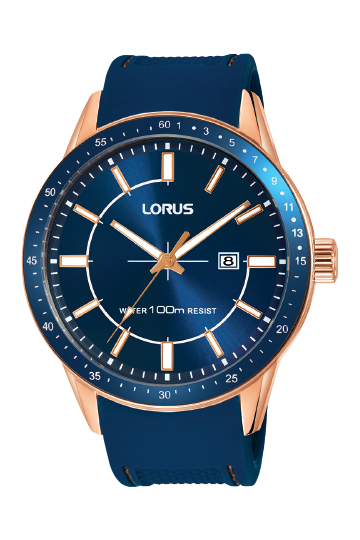 RH960HX9 Lorus Gents Quartz, rose gold plated, blue sunray dial, 100m W/R, flat mineral glass, blue silicone strap. RH962HX9 Lorus Gents Quartz, rose gold plated, brown sunray dial, 100m W/R, flat mineral glass, brown leather strap. 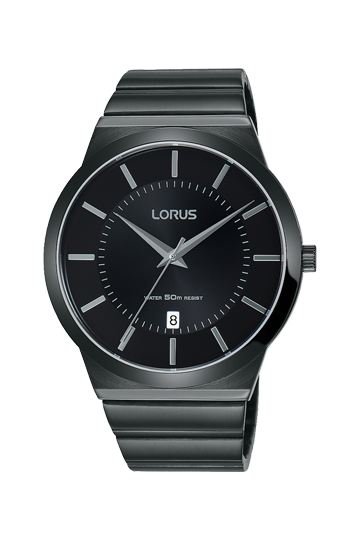 RH959HX9 Lorus Gents Quartz, black sunray dial, 100m W/R, flat mineral glass, s/steel bracelet. 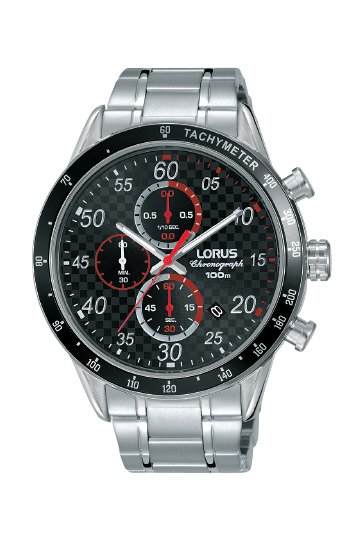 RM343EX9 Lorus Gents Quartz chronograph, black sunray dial, 100m W/R, flat mineral glass, s/steel bracelet. 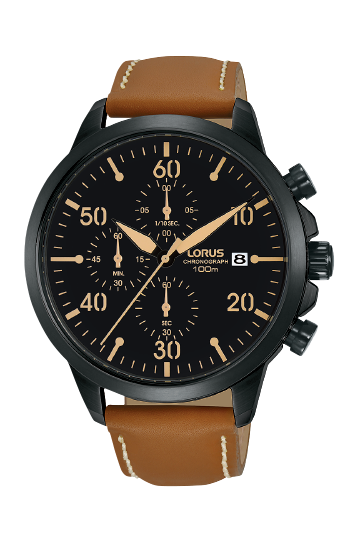 RM349EX9 Lorus Gents Quartz chronograph, black sunray dial, 100m W/R, flat mineral glass, brown leather strap. 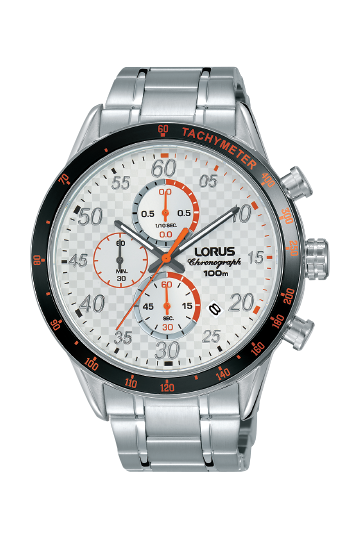 RM345EX9 Lorus Gents Quartz chronograph, silver sunray dial, 100m W/R, flat mineral glass, s/steel strap. 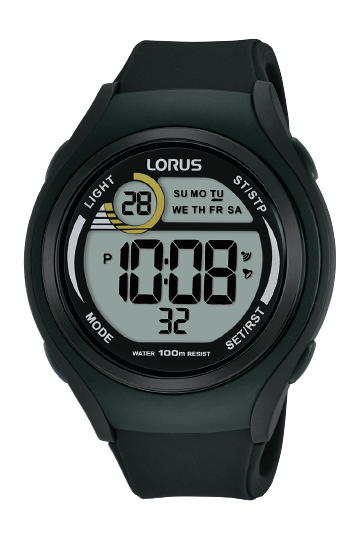 R2373LX9 Lorus gents digital, curved acrylic glass, 100m W/R,EL back light, 13 functions IC (including hour, minute, second, auto- calendar from 2000 to 2049, month, date, day of week, chime, chronograph, alarm, AM/PM or 12/24 hour format, dual time & count down timer) black silicone strap. 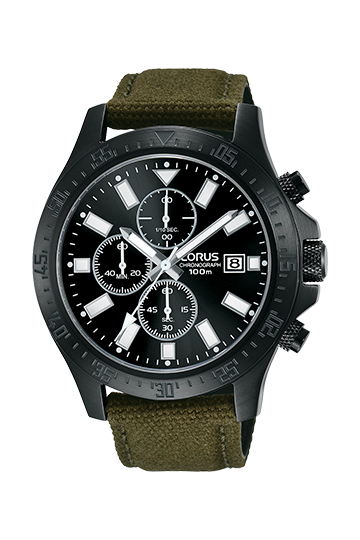 RM301EX9 Lorus Gents Quartz chronograph, black sunray dial, 100m W/R, flat mineral glass, canvas strap. 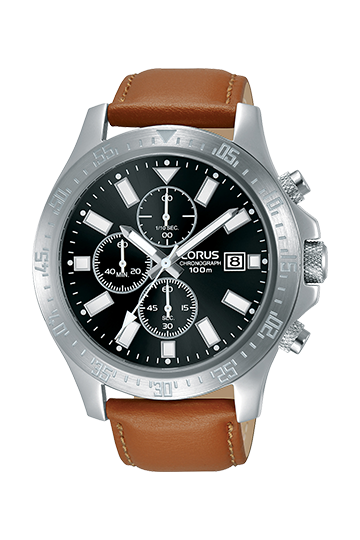 RM307EX9 Lorus Gents Quartz chronograph, black sunray dial, 100m W/R, flat mineral glass, brown leather strap. 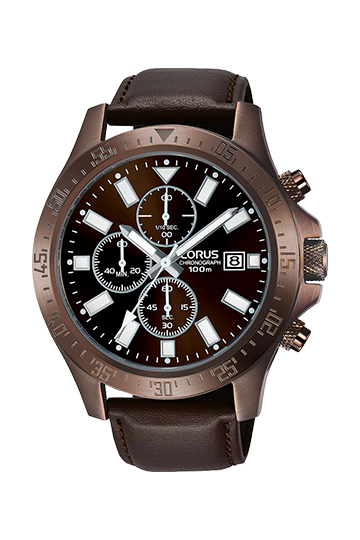 RM305EX9 Lorus Gents Quartz chronograph, brown sunray dial, 100m W/R, flat mineral glass, brown leather strap. 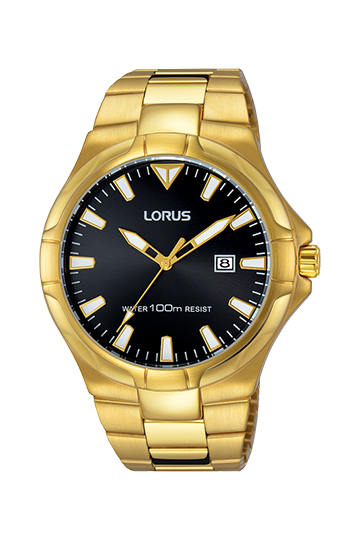 RH976GX9 Lorus Gents Quartz, gold plated, black sunray dial, 100m W/R, flat mineral glass, s/steel bracelet. 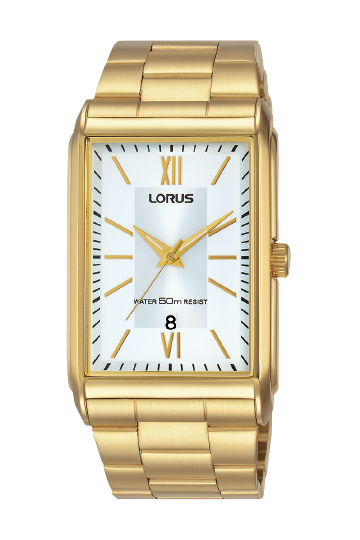 RS964CX9 Lorus Gents Quartz, gold plated, white sunray dial, 50m W/R, flat mineral glass, s/steel bracelet. 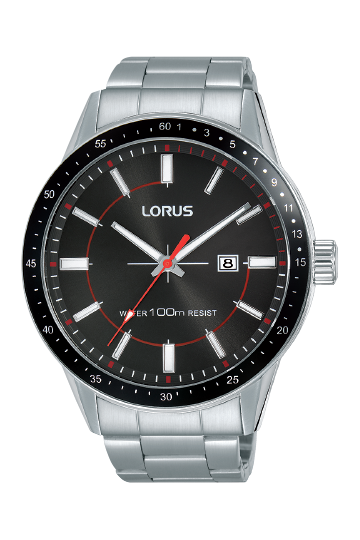 RS963CX9 Lorus Gents Quartz, black sunray dial, 50m W/R, flat mineral glass, s/steel bracelet. 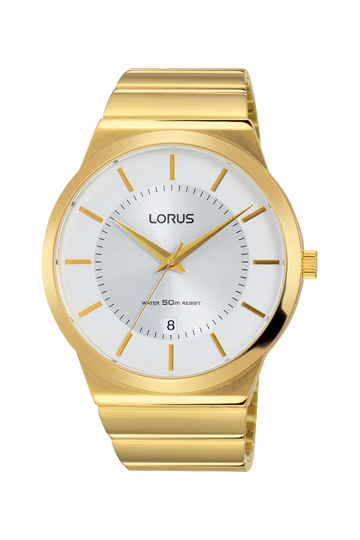 RH906JX9 Lorus Gents Quartz, gold plated, white sunray dial, 50m W/R, flat mineral glass, s/steel bracelet.